The objective of this work was to develop an automated air-coupled impact-echo testing device for mapping the occurrence of delamination in a concrete bridge deck from a continuously moving platform with a fast, repeatable excitation mechanism and algorithms for collecting and analyzing the acoustic data. The apparatus developed in this research included an impactor unit, a moving platform, a microphone for air-coupled sensing, a distance measurement instrument, and signal processing modules. 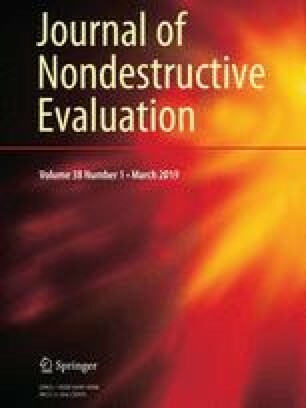 Given the absence of an existing universal threshold for differentiating among intact and delaminated areas using the new device, a delamination detection threshold value was determined in a first field demonstration also involving chain dragging and coring of a concrete bridge deck. While the maps of the air-coupled impact-echo data and chain-dragging data exhibit a high degree of similarity and are highly consistent with the results of coring, a quantitative method of comparison also demonstrates the utility of the new device across a broad range of delamination percentages. Specifically, the results indicate that the percentage of the deck area determined to be delaminated using impact-echo testing was within 3 percentage points of that determined to be delaminated using chain dragging for 10 of the 13 deck test sections, which generally exhibited delamination percentages ranging from 7 to 21%. Finally, testing with the new device was more than seven times faster than chain dragging. The authors gratefully acknowledge the Utah Department of Transportation and the U.S. Army Dugway Proving Ground for funding this research and BYU research assistants Amanda Bitnoff, Alec Escamilla, Danny Flannery, Jaren Knighton, Aaron Smith, Elizabeth Smith, Eric Sweat, Janelle Taysom, Tenli Waters, and David Young for their assistance with the extensive data collection required for the field demonstration.